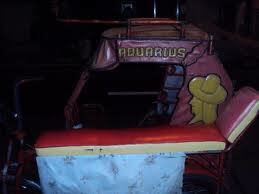 Caloocan was first calledby the Spanish Colonizers as Aromahan or Libis Espina because it was located in a “libis” (lowland) when it was just a small barrio in Tondo. Its present name, Caloocan, according to some folk tales, was derived from the Tagalog root word “lo-ok” (bay) attributed to its nearness to the Manila Bay. While others believed that it came from the word “sulok” (corner) because in the past, Caloocan was located at the corner where the old towns of Tondo and Tambobong (Malabon) met. Hence, the word caloocan is a play of the Tagalog word “kasulok-sulokan” (or kaloob-looban) which means "innermost area". 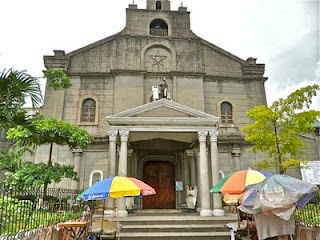 The Spanish Augustinian priests reached the insular “lo-ok” in the year 1762, and eventually established the first Catholic Church (San Roque Church) on the barrio in the year 1765. However, the spiritual administration of Caloocan was transferred to the Recollectos in 1814. In 1815, Caloocan was separated from Tondo and became an independent municipality. Its original territory extended to the foothills of Marikina, San Mateo and Montalban in the east; Tinajeros, Tanza and Tala rivers in the North; San Francisco del Monte, Sampalok, Sta. Cruz and Tondo in the south; and Dagat-Dagatan or Aromahan in the west. Caloocan’s significance in history is highlighted by the fact that it was the center of activities for the Katipunan, the secret militant society that launched the Philippine Revolution during the Spanish occupation of the Philippines. It was in Caloocan where secret meetings were held by Andres Bonifacio and his men, and it was within its confines where the “Unang Sigaw sa Pugad Lawin” took place. Many believed that this event served as the call of the Great Plebian for Filipinos to take arms and struggle for the country’s freedom from Spanish oppression until the bitter end. The Katipuneros tore their cedulas as a gesture of their commitment and readiness to break the chains of Spanish colonial rule. Under the American regime, Caloocan became one of the towns of the Province of Rizal in 1901. In 1920, due to the consolidation of several municipalities, Novaliches became part of Caloocan as stated in the Act 942, as amended by Acts 984 and 1008 of the Philippine Commission. In 1939, pursuant to Commonwealth Act 502, which created Quezon City as the Capital of the Philippines, Caloocan lost the following barrios or sitios namely: Balingasa, Kaingin, Kangkong, La Loma, Malamig, Matalahib, Masambong, San Isidro, San Jose, Santol and Tatalon. After World War II, in July 17, 1948, then President Elpidio Quirino signed Republic Act No. 333 which defined the territorial boundary between Caloocan and Quezon City. This again led to the lost of Caloocan of the following barrios and sitios, to wit: Baesa, Talipapa, San Bartolome, Pasong Tamo, Banlat, Kabuyao, Pugad Lawin, Bagbag, Pasong Putik and Poblacion area of Old Novaliches. The remaining portion of the Old Novaliches is now what we called the Northern Caloocan. This explains why the City of Caloocan has two separate territories. In 1961, President Diosdado Macapagal signed Republic Act No. 3728, otherwise known as the “Caloocan City Charter”. In Feb 16, 1962, the people of Caloocan turned the historic town into a city through a plebiscite held in accordance with R.A. 3728.